So far accessibleparking2473 has created 33 blog entries. 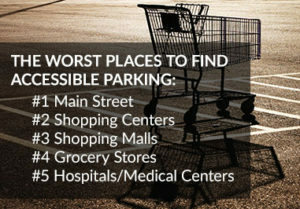 PHOENIX (CBS 5) – Disabled parking placards are issued to drivers or their caretakers so they don’t have to travel far when they go from place to place. Unfortunately, some people have been abusing this privilege and are using the placard fraudulently. Stanley Roberts went out with the Accessibility Compliance Enforcement Division of the Phoenix Police Department looking for people misusing disabled placards. In some cases, people have altered the date on temporary placards. If caught, the person could be issued a $564 fine. If a driver parked in a disabled spot with an expired or no placard at all, that comes with a $290 fine. This is part one of a three-part series on disabled placard abuse. Read the azfamily.com article and watch the news segment. OAKLAND, Calif. (KTVU) – On a brisk morning before the sun rises in Oakland, a group of investigators with the California Department of Motor Vehicles set their sights on disabled parking spaces and placards, hoping to send a message that misuse and abuse of the placards is not only against the law, but prevents those with actual disabilities from getting a close place to park. Read the KCBA-FOX 35 article and watch the news segment. 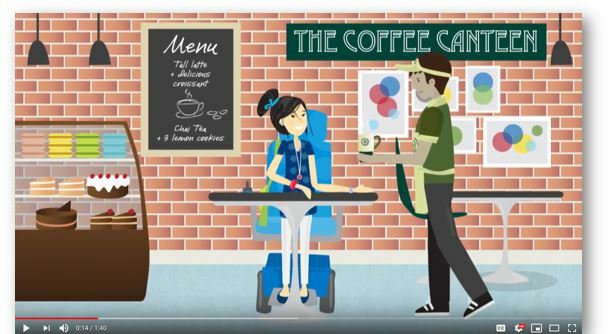 According to a recent survey, 74 percent of people acknowledge seeing an able-bodied person park improperly in a spot designated for someone with disabilities. Read the KSLA-12 News article. Former boxing champion and Cranston resident Gary “Tiger” Balletto is fighting a new opponent these days: ignorance. In a photo posted to his Facebook page that has gone viral, Balletto shows a Jeep that was parked in the painted line area next to a handicapped spot, where he was parked, inside the garage at the Providence Place Mall Sunday. Read the Nov. 26, 2018 article by NBC-WJAR Providence.